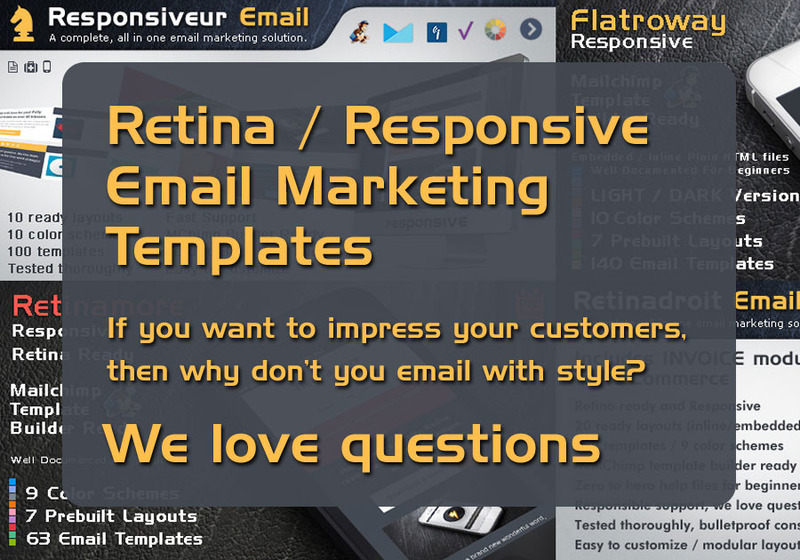 We build bulletproof, retina ready and responsive email templates to make the whole process easier for you. All you have to do is to add your own content, and you're ready to go. Very descriptive help files are included for total beginners. You have your support, we love questions.